Massachusetts has over 3000 lakes and ponds that provide opportunities for recreation and valuable habitat for a wide diversity of plants and animals. Many of Massachusetts’ lakes were formed 10,000 to 20,000 years ago at the end of the last ice age. In the last few hundred years, Dams have been constructed for the creation of new lakes and ponds that have made some of the most beautiful waterfront properties in Massachusetts. Like individual fingerprints, the 3000 lakes and ponds in Massachusetts are all different as is the real estate around them. In the 1940s and 50s, most camps around Massachusetts lakes were used for summer vacation homes; as opposed to today, where 94% of Massachusetts lake houses are used as year-round residences. Prices of Massachusetts lake houses and waterfront property range from $180,000 for a buildable waterfront lot, to over $3 Million for a luxury waterfront estate. 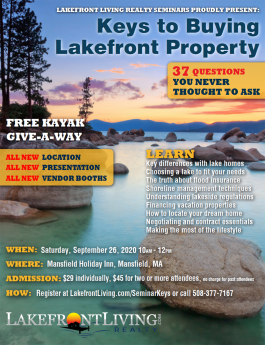 The details on over 350 Massachusetts lakes and ponds are defined on this site including all the real estate for sale around them. Recreation on Massachusetts lakes and ponds can include power-boating, PWC’s, fishing, swimming, waterskiing, kayaking and winter ice-skating & ice-fishing. 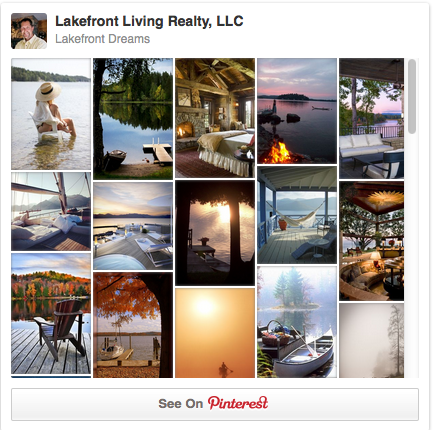 Take a look at some of our beautiful Massachusetts lake houses and waterfront property and contact us whenever you feel like living the lakefront lifestyle!